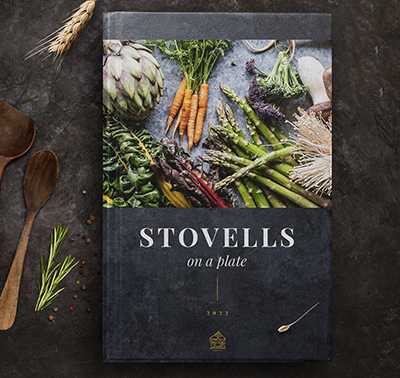 Treat your family, friends or colleagues to a dining experience at Stovells . Gift Vouchers are valid for maximum of 18 months. Stovells reserves the right to refuse the use of vouchers after the expiry date. Only original vouchers issued on Stovell’s letter head and signed by Chef Fernando Stovell will be accepted. Please note, all vouchers must be pre ordered and paid over the telephone or in person. All vouchers are non cash redeemable and non refundable.Gift vouchers are available to purchase online via our website, please see link at any time at the restaurant directly between the hours of 10:00hrs – 17hrs. Please note that if purchased Directly from the Restaurant - Only original vouchers issued on Stovell’s letter head and signed by Chef Fernando Stovell will be accepted. Please inform your guest of the terms and conditions to avoid any problems on the day. Please contact the restaurant for more information on booking availability. Gift vouchers are non-refundable once purchased and cannot be exchanged for cash.